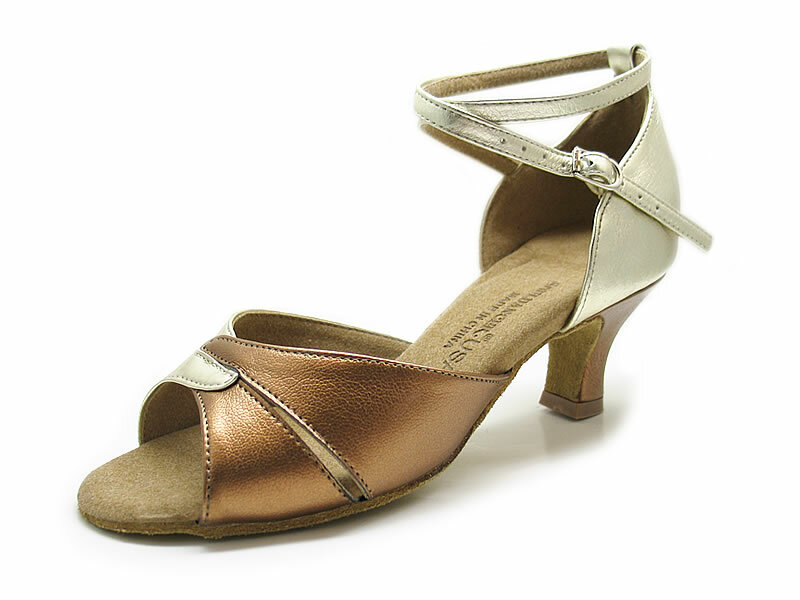 One of our most popular shoes--it remains a favorite of new and veteran dancers. This design fits a variety of foot shapes and has excellent support.Suitable for every type of dancer. Pictures shows Dark Tan(G6) and Light Gold Man-made Leather(G10) in 2 3/16" heel.